Before start any port, script or version scan hosts should be discovered. Only discovered hosts will be scanned by port,service or version. List scan will do not send any packet to the targets and only show dns names of the targets by resolving them. We use -sL flag and the ip address of host/network. We get that dns name of the host is sof02s18-in-f5.1e100.net . As we did not send any package to the target is seems down. We provide only -sn option to make ping scan. Nmap have to ability to completely skip discovery stage. We know that the target hosts are up or we just want to full scan whether they are up or down. We provide -Pn option to skip ping scan. This is similar to the TCP Syn Ping but Ack is send to the tcp/80. As there is no active connection the target will send Rst back. So this means the host is up. Icmp is very useful protocol for pen-testing. Here is some of icmp scan techniques. This is newer discovery technique. 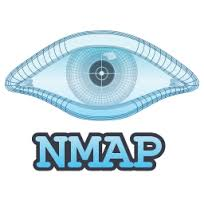 Nmap simple send different network layer protocol numbers to the target. Default protocols are icm, igmp, ip-in-ip. Arp ping is very stable and useful technique. It simple send arp packets to the connected lan. There is no ip or related upper layer packets. Detecting this type of discovery is very hard compared other discovery techniques. Ipv6 is supported with Neighbor Discovery. Normally during the host discovery path to the target is found with TTL magic. So to get traceroute we can use –traceroute option for this. Dns resolution is done by default. Dns resolution can be disabled with -n option. If we do not want to use our hosts name resolution we can set new dns servers for the scan.